There aren’t many people that know who Rhio O’Connor was. From what I’ve learned, he was a strong-willed person, an extremely determined man, who would not give in to his fate that easily. 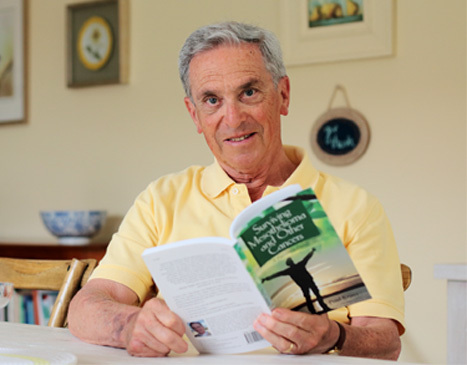 Rhio O’Connor was diagnosed with mesothelioma, and instead of giving up and accepting his one year prognosis, he decided to conduct his own extensive research of this cancer to beat it. He spoke to many different doctors, patients, and researchers who all had knowledge of mesothelioma and researched all the different types of “therapies offered, their long and short term side effects, and the theories and philosophies behind them” (Retrieved from http://www.cancermonthly.com/scholarship.asp). “He was diagnosed with a deadly cancer and given a year to live. Instead of giving up he found his own path to health and outlived his prognosis by more than six years… This extraordinary intellectual effort along with Rhio’s optimistic spirit, belief in something greater than himself, and the ability to make tough choices helped him beat his prognosis and live with a cancer considered “incurable” for many years” (Retrieved from http://www.cancermonthly.com/scholarship.asp). Mesothelium “is a membrane that covers and protects most of the internal organs of the body… The mesothelium produces a lubricating fluid that is released between these layers, allowing moving organs (such as the beating heart and the expanding and contracting lungs) to glide easily against adjacent structures”. “Mesothelioma is a rare form of cancer in which cancerous cells are found in the mesothelium, a protective sac that covers most of the body’s internal organs.” (Retrieved from www.survivingmesothelioma.com). For more information on this particular cancer, treatments, and survivors, go to www.survivingmesothelioma.com. Rhio’s story is very inspirational, and he did everything he could to learn about and try to defeat the cancer. I would hope that if I faced the same challenges as him, I would be as courageous as he was. If I was given a dire cancer prognosis, I would react as Rhio did and do as much research on the cancer as I possibly could. We are fortunate to live in this day and age to have so much information at our fingertips. Information can be found on the internet, in publications, and on television. Also, because the media is up-to-date, there could be new information posted every day regarding symptoms, treatments, and success stories. By using this acquired information, I could then make a more educated decision on what treatment would be best for me. I know that the people closest to me would also assist me in my decision making. Below is the family health history on my maternal side. This list, although not quite complete, is as accurate as could possibly be at this time and was provided by my grandmother. Her initials are J.K. and can be found at the second underlined entry from the bottom. Seeing this health history on just my mother’s side of the family, the odds of me developing cancer is great. However, I still keep an optimistic view that I’ll stay healthy the rest of my life by eating right, exercising, limiting alcohol consumption and staying away from drugs and tobacco. Rhio’s story is inspiring, and to know someone with that much determination and motivation gives me hope that I can do the same should anything happen to me.